In this season of giving, the U.S Senate is rushing to pass a tax bill next week that would overwhelmingly benefit corporations and the richest households. If passed, this tax plan would not only raise the tax load on millions of low- and middle-income families, it would also mean the elimination of vital programs that help many Americans get by every day. The reason: Math. By increasing the U.S deficit by more than $1.5 trillion over the next ten years, Congress would have to reduce spending in fiscal year 2018 alone by a total of $136 billion due to spending rules. To put this in perspective, the Congressional Budget Office (CBO) has already estimated that this tax bill would result in $25 billion in automatic cuts to Medicare in 2018. “Farm Price-Support Programs. This program funds the Commodity Credit Corporation Fund, which stabilizes, supports, and protects farm income and prices; helps maintain adequate and balanced supplies of agricultural commodities; and facilitates the distribution of commodities in an orderly way. Farm Security and Rural Investment Programs. These programs provide funding for critical conservation efforts on private lands, including critical wetlands, grasslands, forests, and farm and ranch lands. Funds for Strengthening Markets, Income, and Supply. This program encourages the exportation of agricultural commodities and products; encourages domestic consumption of agricultural products; and re-establishes farmers’ purchasing power by making payments in connection with the normal production of any agricultural commodity for domestic consumption. Commodity Assistance Program. This program provides food donations to help the elderly and low-income populations, among others. Vocational Rehabilitation Basic State Grants. This program provides grants to assist states in running statewide vocational rehabilitation programs for people with disabilities in order to help them prepare for, secure, regain, or retain The program is critical to state agencies’ ability to work with disabled individuals to prepare for and engage in competitive and integrated employment and achieve economic self-sufficiency. Health Care Fraud and Abuse Control Program. 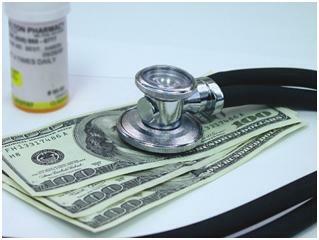 This program combats fraud and abuse in federal health care spending. Social Services Block Grant. This funding provides states with flexible resources to help with human services such as child care, foster care, elder abuse prevention, Meals on Wheels, and more. Promoting Safe and Stable Families Program. This program helps states keep children safe from maltreatment; prevents the unneeded separation of children from their families; makes the quality of care and service to children and their families better; and helps ensure permanent living situations for foster children. Higher Education Programs. This provides funding for historically black colleges and universities, Hispanic-serving institutions, and tribal colleges to better serve students and increase capacity. It also includes grants to help the children of service members who lost their lives in Iraq or Afghanistan to afford college. Affordable Housing Program. This program supports federal home loan bank contributions to subsidize affordable housing and homeownership.